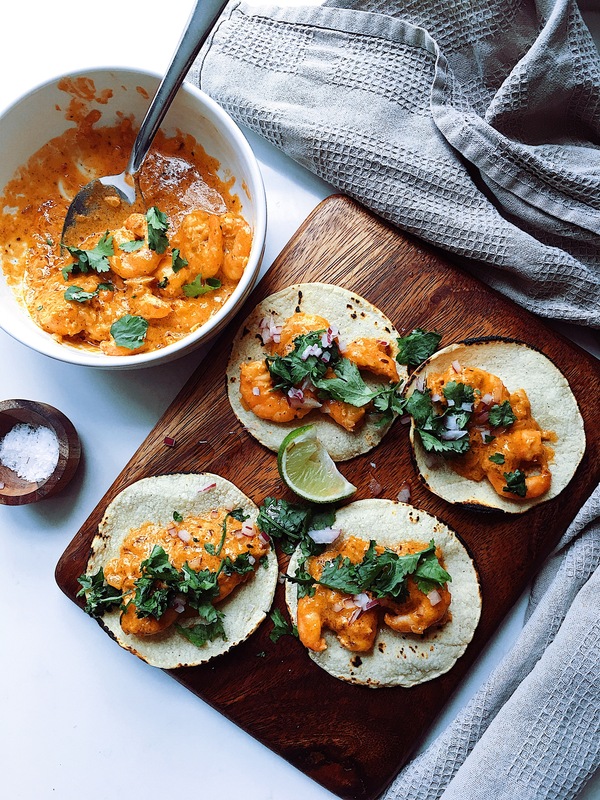 So for this recipe we will need prawns, good prawns, peeled and ready to cooked, then we will smothered them in a creamy chipotle marinade, then fried them with a bit of onion and lots of garlic and listo!! You will have a nice meal in minutes! Mince the garlics. Add the chipotle paste in the cream and add the garlic. 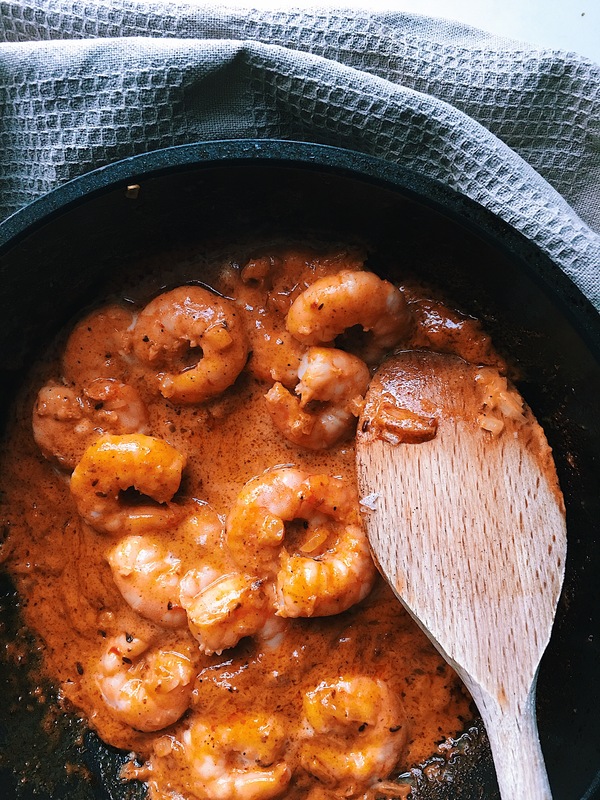 Add the prawns. Set aside. Heat a frying pan and add the oil. Then add the onion and fry for 5 min. Add the prawns with all the marinade. Fry for 7 min at high heat. Add salt and pinch of black pepper. 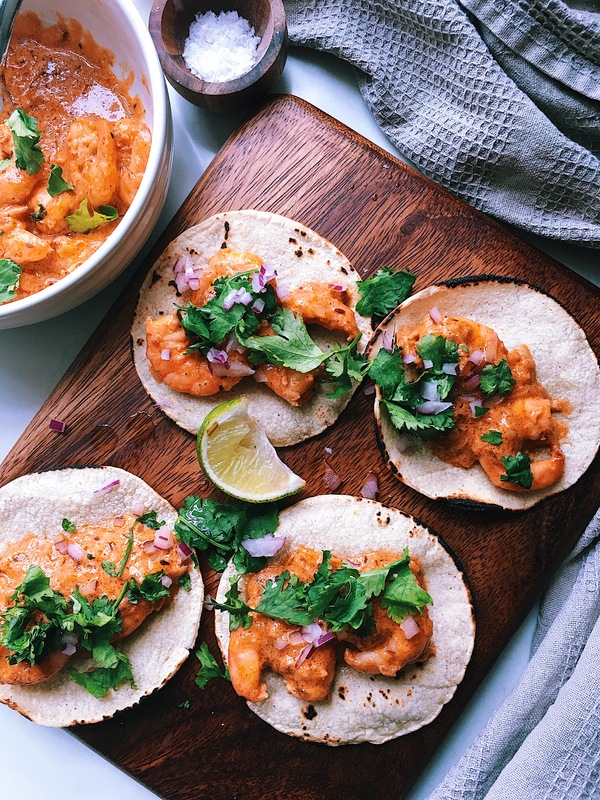 Serve them in tacos, garnish them with fresh coriander and red onion, oh! yes! and a squeeze of lime.